You are here: Home / Blog / How To Secure The Communication Channels With Privacy Codes? 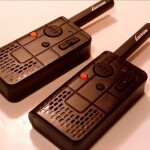 Motorola talk about Walkie-talkie is a useful gadget to facilitate communication in offices and buildings. You can also take it to remote location while camping and trekking. Considered as a compact gadget, it is bundled with hosts of features that can captivate the imagination of the users and enhance their expectations. Due to the availability of plethora of radio channels, the transmission can be conducted without any distortion however large number of users might result in people listening to others conversations. Before talking about the usage, let’s check how many channels are available for the transmission. 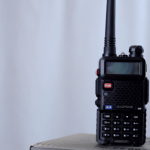 Communication with the two-way radio can occur only on channels that are open for the family radio and the general radio service. Only one user can transfer any data through the channel at a time. Therefore, it is important to follow the rules of communication to facilitate voice transmission. 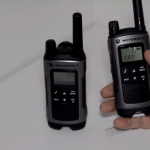 Talk about radios from Motorola has 22 or 30 channels for communication. 1 -7 channels are low powered ones while 8-14 also belong to the same category. As far as the channels from 15-22 are concerned, they can easily support high powered transmission in a jiffy. Prior to using the channel, you should zero in on to number 1 so that it is possible to switch over later on. You may like it to set to number 2 or 3 depending on the requirements and specifications. To find the free channel for communication, the user needs to scan the bandwidth. In order to accomplish the task, you should press the monitor or the scan button located sideways of the LCD screen. 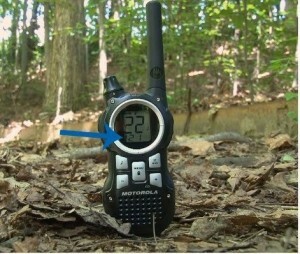 Once the key is pressed, the walkie-talkie would automatically launch the scan and provide information about the free channels. Prior to starting the scanning of the channels, you should make sure that the interference eliminator codes and the QUITETTALK features are turned off so that you can test which channels are busy. It would help you to find the available bandwidth for initiating conversation with the other party. In order to turn off the above mentioned features, one has to press the button with a negative sign located below the screen on the gadget. If you want to optimize the scan procedure, visit the busy channel and press thee key with negative sign for a few3 second. It would be automatically removed from the search list and you will get what you are looking for. Radio is turned off automatically but switches on if a signal is detected. It might be a disturbance annoying the users. How many times we get the audio signal and try to talk only finding that it was a simple attenuation. 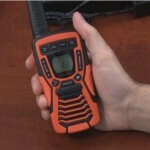 In order to avoid such issues squelching features have been introduced into the Motorola talk about radio. In order to avoid the interference, you should use the eliminator codes that filter out disturbance by adding the coded signals along with the voice. If the radio doesn’t find the code along with the audio, it rejects the signal and treats them as disturbances. QT offers another layer of codes to reduce further interruption. It can go a long way in eliminating whatever disturbances are present in the signal. 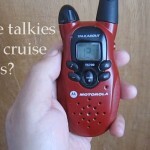 Motorola walkie-talkies use the default code of 1 for all the transmission channels. You can select any one of the 12 codes available. Use the scan option for finding the free channel and press the button with a + sign to assign a unique code. Once the codification is accomplished, it is possible to communicate without interferences. Although codes are known to reduce distortion, interference can still occur if the communicating users are located near to each other. Therefore, one should move away to a safer distance for seamless audio transmission. 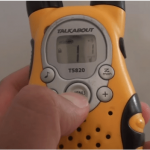 If you are communicating with radios that have no codes from the Motorola Walkie-talkie, assign zero code to your channel for conversation. Zero number doesn’t add any digit to the signal and the recipient on the other side would listen what you want to speak. If more than one group is using the channels, they can select another one which is free from noise and crosstalk. With seamless transmission and proper coding, people can make the communication more efficient and easy to handle.